Leeds 1954. 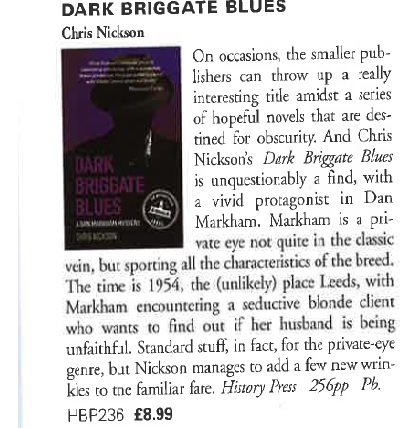 When Joanna Hart came into his office, enquiry agent Dan Markham thought it would be an easy case. All the blonde with scarlet lips and swinging hips wanted was to know if her husband Freddie was unfaithful. But when the man is killed, Markham’s involvement makes him the prime suspect. As the evidence piles up against him, he realises someone had set him up. In a deadly game, Markham has to battle to keep himself and his client alive. All he can rely on are his wits and the rusty skills he acquired during his National Service in military intelligence. But can he hope to be any match against the killer who has spies on every corner in Leeds and a reach that goes all the way to Whitehall? 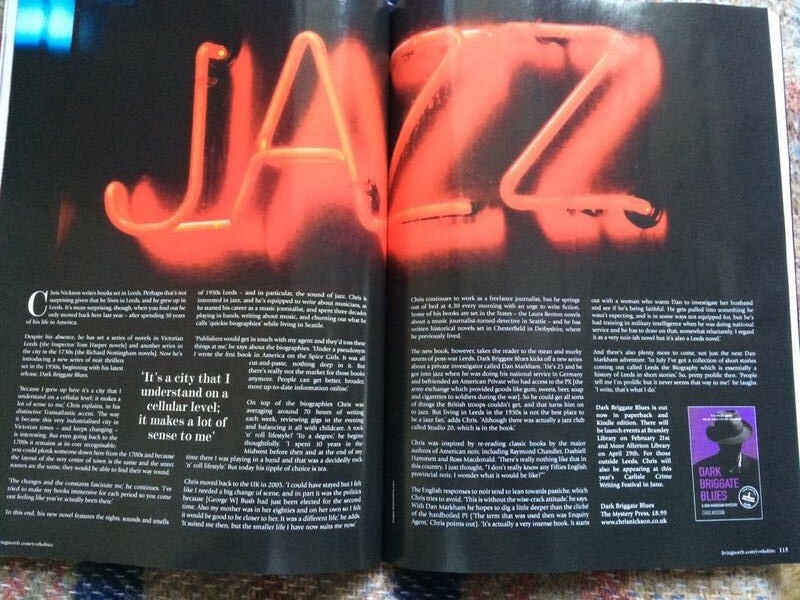 Jazz plays a powerful role in the book, and you can listen to Dan Markham’s choices here. And here is a short piece about the music itself. Here’s a lovely interview in Living North magazine. 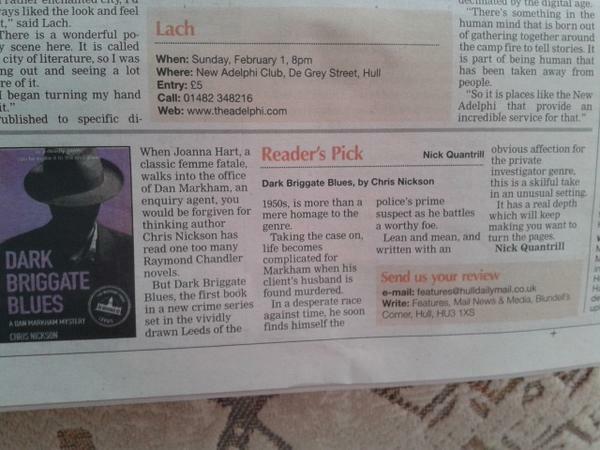 Following that is a wonderful review from the Hull Daily Mail. An article from Northern Living. 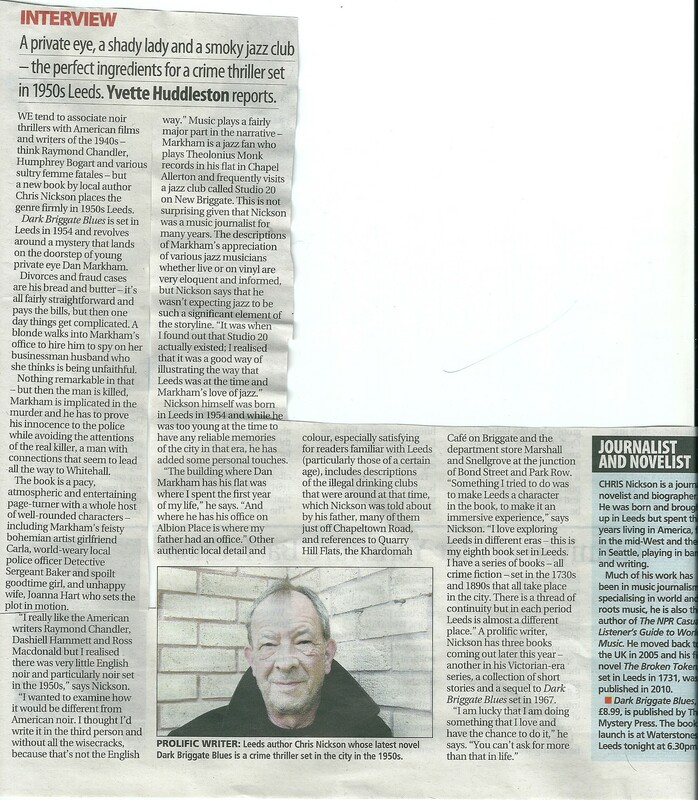 And here’s an interview in the Yorkshire Post.